The passing of Congressman Lou Stokes not only brings down the curtain on one of the most accomplished lives in the history of American politics, it also brings an end to us having a direct link to the most activist period of the struggle for black rights and empowerment in this country. The Congressman’s attainments in life stand as a towering testament to what can be achieved via enlightened, determined — nay, fierce — efforts by a public official to turn America into the country we profess to be, but always seem to fall far short of in reality. If there are still battles for blacks to fight in America — and there certainly are — there are less of them due to the victories Lou Stokes won with his keen intellect, superior upbringing and tenacious spirit. But the congressman, ever the keen student of history, sometimes would point out that he didn’t fight alone, or even initiate the local struggle for blacks’ full equality in this experiment in democracy we call the United States of America. It began long before he took on the mantel of leadership, but he knew he was the beneficiary of former political struggles and carried the battle flag forward proudly. Just as Birmingham, Ala., is known as the birthplace of the black civil rights movement, Cleveland can rightly claim to be the birthplace of the black economic and political rights movement in this country, in large part due to the efforts of men and women like John O. Holly, Charlie Carr, Marge Robinson, Isabelle Shaw, William O. Walker and a whole host of others. In 1935, at age 32, Holly would become the driving force in establishing the Future Outlook League, which grew to become one of the most powerful organizations in Cleveland demanding — and achieving — better economic treatment for blacks. It was a long and rocky road he had to travel to win victories in the end, but the hallmark of his journey was his tenacious perseverance and determination: When something got in his way, he found a way around, over or though it. He had a tremendous sense of vision, and better yet, the ability to transmit what he could envision to others. If there is such a thing as a natural-born leader, he fit that description to a T, and both Lou and Carl Stokes frequently acknowledged Holly’s commitment to the cause, and the debt they — and others — owed him for paving the way. In fact, Carl Stokes once served as Holly’s driver. Holly passed the leadership mantel on to Charlie Carr, who was destined to become — arguably — the most politically powerful black man in Cleveland. He certainly was the most skillful and clever, if not always the most liked. The joke was, Carr was always the smartest man in the room, and if someone didn’t realize it, he had no problem letting them know. He’d won his seat from Republican W.O. Walker, then the publisher of the Call & Post, on his third attempt, by making a campaign promise to introduce legislation that would make it virtually impossible for the police to raid and arrest numbers operators. His argument was simple: If Catholic churches could host bingo games and casino nights, why then couldn’t blacks play the numbers without fear of arrest? It was this kind of clarity of thought, pointing out disparities of treatment, that’s defining police/black community relations to this very day. Carr was way ahead of his time. Before his death, Arnold Pinkney, who was a key advisor to both of the Stokes brothers, stated that neither of their victories would have been possible without the advice of Charlie Carr. “After we won, black politicians from all over the country came to Cleveland to learn how we’d pulled it off. We’d take them to talk to Carl and Lou, and then to talk to Charlie. They’d sit at his feet, and they’d listen, and they’d learn how to win,” said Pinkney. 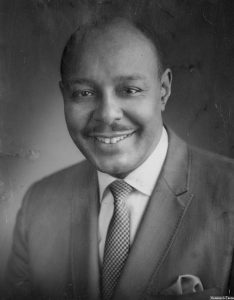 So, Congressman Lou Stokes’ great accomplishments and sterling legacy was but a continuation of a long line of astute political leadership that was passed down to him by others; men and women that would be exceeding pleased and proud in regards to what he did with what they bequeath to him. He took the movement for black rights — indeed the rights for all Americans — further than any of his political ancestors could have possibly imaged. He truly shall be missed, and the likes of him will never pass this way again. WVIZ/PBS ideastream interview with Dee Perry on “Applause” #919, Aired Feburary 8, 2007.